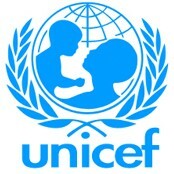 Human Relief Foundation has been working with UNICEF since 2013. Together, we're treating people suffering from treatable but life threatening illnesses. From December 2016 to July 2017, Human Relief Foundation (HRF) worked on an emergency WASH project with support from UNICEF. 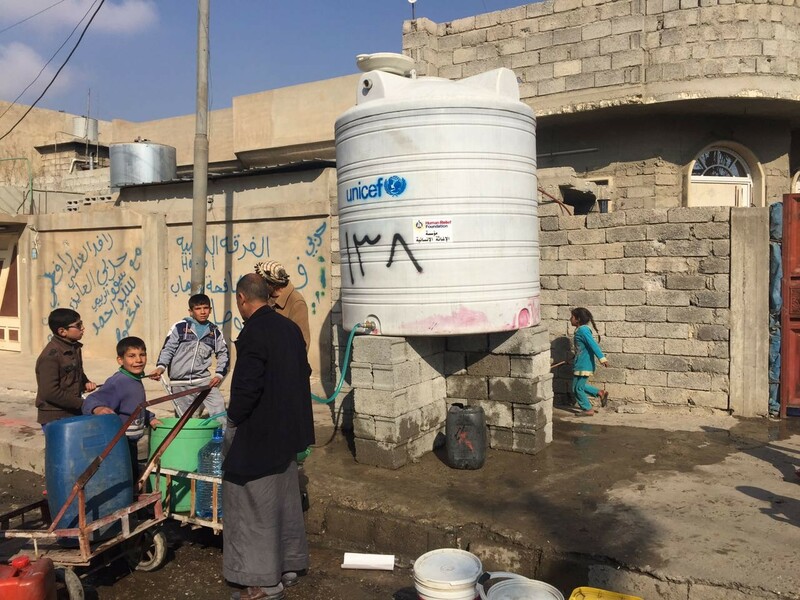 The project supplied water to newly retaken areas of Mosul East Bank in response to severe water shortages. As water is a basic need to which every person should have unrestricted access, HRF has worked to improve water infrastructures through digging wells, rehabilitating and building water treatment plants, water recycling and providing training for engineers and water treatment plant maintenance staff as well as for local people in maintaining water resources. 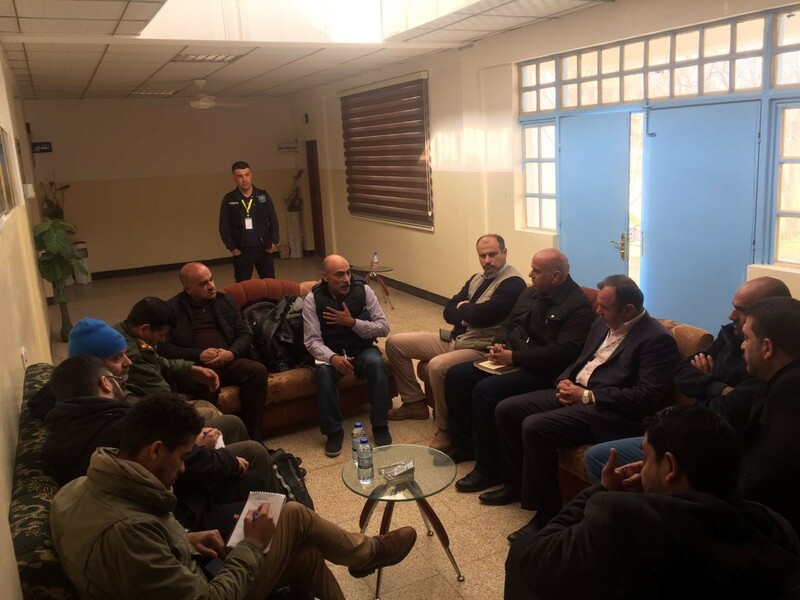 In the Newly Liberated Areas of Mosul city, East bank, the water systems were heavily affected because of the protracted conflict with ISIS. Bridges and water pipes were destroyed, boreholes were damaged and the water servicing systems are dysfunctional. The lack of water made the East bank population of 650,000 people extremely vulnerable, especially the families and children. The emergency water supply programme was three-fold which was carried out in cooperation with UNICEF: first an immediate response that HRF was to provide by distributing water tankers to children and families. Second, the installation of temporary static water distribution points (tanks). Third, re-activating the water servicing systems. 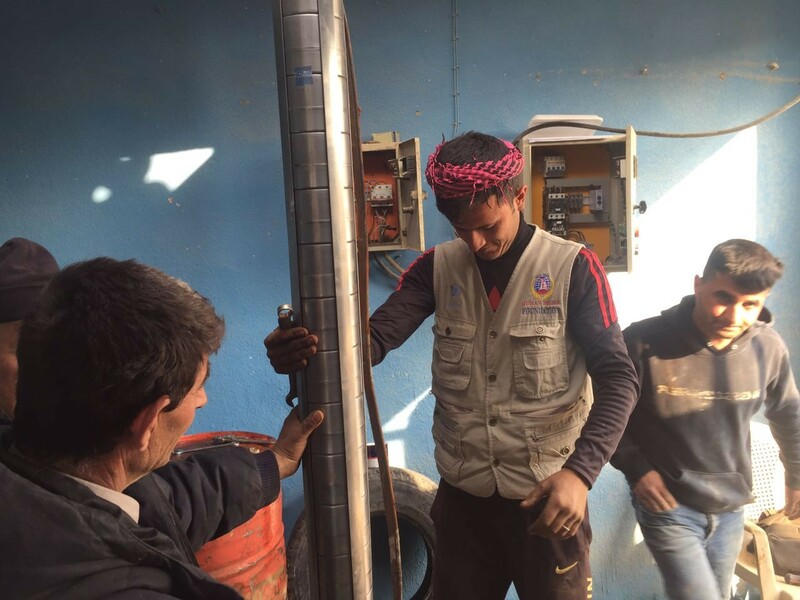 Running in parallel to this, HRF saw the repair and installation of boreholes, water tanks and piping to get Mosul residents provided with safe, clean, accessible water.